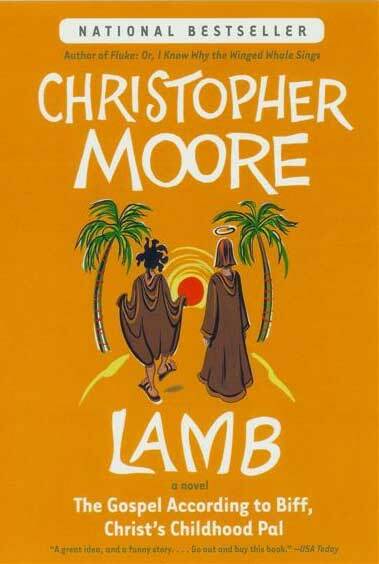 You can now download Christopher Moore's Lamb for only 1.99$ here. The birth of Jesus has been well chronicled, as have his glorious teachings, acts, and divine sacrifice after his thirtieth birthday. But no one knows about the early life of the Son of God, the missing years -- except Biff, the Messiah's best bud, who has been resurrected to tell the story in the divinely hilarious yet heartfelt work "reminiscent of Vonnegut and Douglas Adams" (Philadelphia Inquirer). Verily, the story Biff has to tell is a miraculous one, filled with remarkable journeys, magic, healings, kung fu, corpse reanimations, demons, and hot babes. Even the considerable wiles and devotion of the Savior's pal may not be enough to divert Joshua from his tragic destiny. But there's no one who loves Josh more -- except maybe "Maggie," Mary of Magdala -- and Biff isn't about to let his extraordinary pal suffer and ascend without a fight. 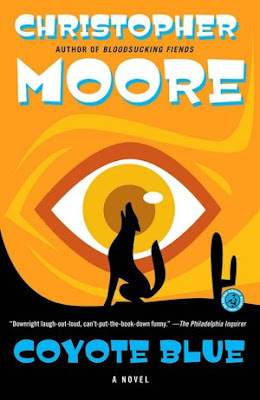 You can also get your hands on Christopher Moore's Coyote Blue for 2.99$ here. From master of subversive humor Christopher Moore comes a quirky, irreverent novel of love, myth, metaphysics, outlaw biking, angst, and outrageous redemption. As a boy, he was Samson Hunts Alone -- until a deadly misunderstanding with the law forced him to flee the Crow reservation at age fifteen. Today he is Samuel Hunter, a successful Santa Barbara insurance salesman with a Mercedes, a condo, and a hollow, invented life. Then one day, destiny offers him the dangerous gift of love -- in the exquisite form of Calliope Kincaid -- and a curse in the unheralded appearance of an ancient god by the name of Coyote. Coyote, the trickster, has arrived to reawaken the mystical storyteller within Sam...and to seriously screw up his existence in the process.